No parts of these stories may be copied and shared without the written approval of Jim Lantern. 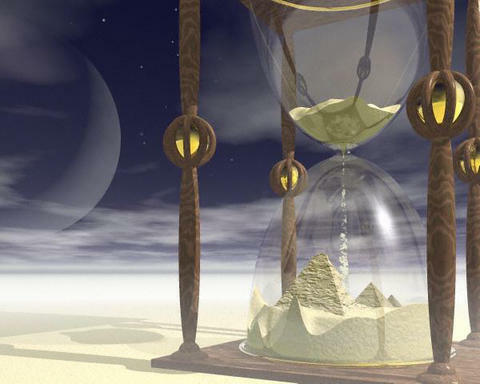 The Timeglass stories are works of fiction, including characters, events, and locations. However, from the perspective of characters, some stories include observations and mentions of real people, events, and locations. Beliefs and views presented herein are from the perspective of fictional characters, and not all represent the beliefs and views of the author and publisher. The main genre is Science Fiction. Subgenres: Adventure, Alternate History, Archaeology, Drama, Erotica, Espionage, Fantasy, History, Horror, Humor, Mystery, Parallel Universe, Parody, Politics, Psychological, Quests, Religion, Romance, Science, Space Exploration, Space Opera, Space Travel, Spiritual, Suspense, Terror, Time Paradox, Time Travel, Treasure Hunts, and War. For contrast, there is some adult material involving sexual activities of liberal-minded characters, compared to religious activities of conservative-minded characters, as well as similar differences in politics. Minimal foul language and violence. Read the article “Political ideas in science fiction” at Wikipedia. I might mix some of my editorial articles with some science fiction to make them more interesting. Also read the article “List of religious ideas in science fiction” at Wikipedia. I’m interested in history, alternate history, time paradoxes, and time travel, as well as political and religious ideas in science fiction. Favorite quote: “All we can imagine is probably not half as crazy as the truth.” ~ Arthur C. Clarke, in the novel 2010: Odyssey Two. The Merlin Solution – short story. 2030: A Teleportation Odyssey – short story. Impact of Teleportation on Transportation Industry – nonfiction article. The following stories can stand alone as complete stories, but are also part of and found within my full-length novel Once Upon Another Timeline. THE TIME TRAVELER FROM ANOTHER WORLD – Novelette – about 16,500 words. TERRANTUS – Novelette – about 10,400 words. REMEMBERING YESTERWORLD – Long Novella – about 43,300 words. MIRANDUS – Short Novella – about 26,000 words. What happens to your soul if you travel 2000 light-years to another inhabited planet and die there? – nonfiction article. Soul Travelers: Just Visiting this Planet – nonfiction article. THE TIME TRAVELER WHO NEVER WAS – Short Story – about 5,400 words. Some of the characters and locations in The Secret Conversations of Aliens can be found in the following story.